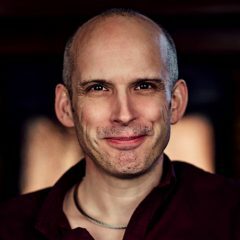 Ever since the release of Digital Adaptation I have found myself mentoring clients, speaking at events and writing about digital transformation. But, despite all I have shared on the subject, there has been no concise summary of my thinking. This post seeks to correct that. 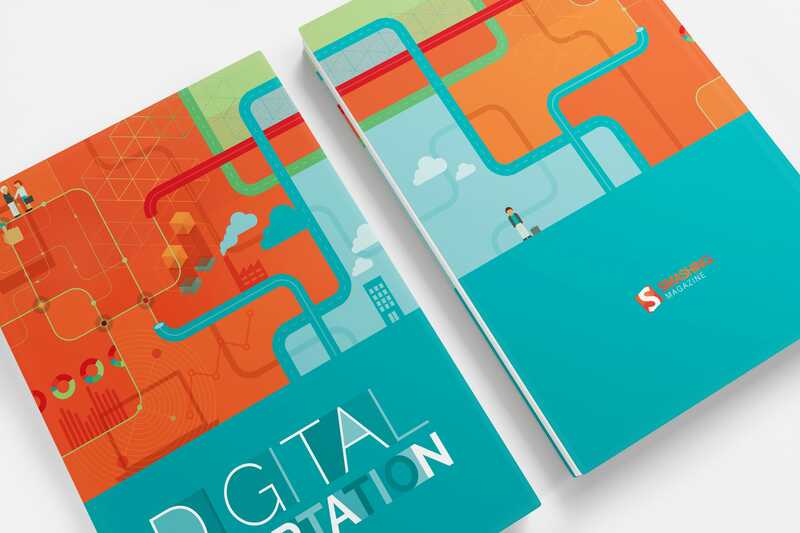 It aims to be a comprehensive introduction to digital transformation. A guide based on the questions that I find myself repeatedly answering. Questions, that almost always begin with; what exactly is digital transformation? Why is digital transformation urgent? Does my organisation need to transform? How can I make digital transformation happen? What should my organisation be doing? Who has succeeded in digital transformation? Digital Adaptation lays out the case for Digital Transformation in a way that is hard for management to ignore. For every article you read, you will see a different definition of digital transformation. Many think it is to do with integrating new digital technologies as if this will magically turn them into digital businesses. In truth, that is just a fraction of what it involves. Companies need to think of Digital Transformation as a formal effort to renovate business vision, models, and investments for a new digital economy. By now it should be apparent this is about a lot more than technology. That is because digital itself is about a lot more than technology. See also: What the heck is digital anyway? What is interesting about digital is not the technology, but the impact those technologies have had on the behaviour of consumers. Digital has changed the dynamic of business. It has placed the power firmly in the hands of the consumer. People now have more choice than ever before. Where once they were limited to suppliers with sufficient advertising reach or those in the local area, now a simple Google search will return a near limitless number of vendors. The result is that customers can be extremely demanding and dismissive of suppliers. Not only that, customers have a much larger voice than ever before. A single disgruntled customer can damage an organisation’s reputation through a review, blog post, or social media update. Customers are becoming increasingly aware of this power shift, and once again this leads them to be ever more demanding. That is the real power of digital, and helps us define digital transformation. It changes our definition of digital transformation away from technology and towards the consumer. That, in turn, makes digital business transformation considerably more urgent. If digital transformation is really about a shift in customer behaviour, then this puts it much higher on your organisational agenda. If all digital transformation was about was integrating some new technology then it would be considerably less urgent. But because we now know that customer behaviour has changed we must adapt much faster if we wish to survive. At this point, you might be thinking that your customers have not changed and your sector is the same as always. However, in truth, your customers are not just yours. They are the same people who use that awesome banking mobile app to access their accounts or make use of the free tools provided by Google, Dropbox and others. They shop online using intuitive e-commerce sites, and talk with friends around the world via cutting-edge apps like Skype. Customers are not just comparing you to your competition; they’re comparing you to the best experience they had online. All of these experiences help to shape their expectations of you. From a digital perspective, customers are not just comparing you to your competition; they are comparing you to the last best experience they had online. It is this that makes digital transformation so urgent and what gives digital its ability to disrupt a sector suddenly. It only takes one organisation in your industry to offer a superior experience, and things can change very rapidly. You might be thinking that you are too well entrenched for that to happen. But history tells us otherwise. Take for example Blockbusters. In 1999 an analyst there wrote, “investor concern over the threat of new technologies is overstated”. A year later, they turned down a chance to buy Netflix, and now they are out of business. But they are not alone. We have had Kodak, Borders and HMV, to name just a few high profile examples. Many sectors are in chaos too. 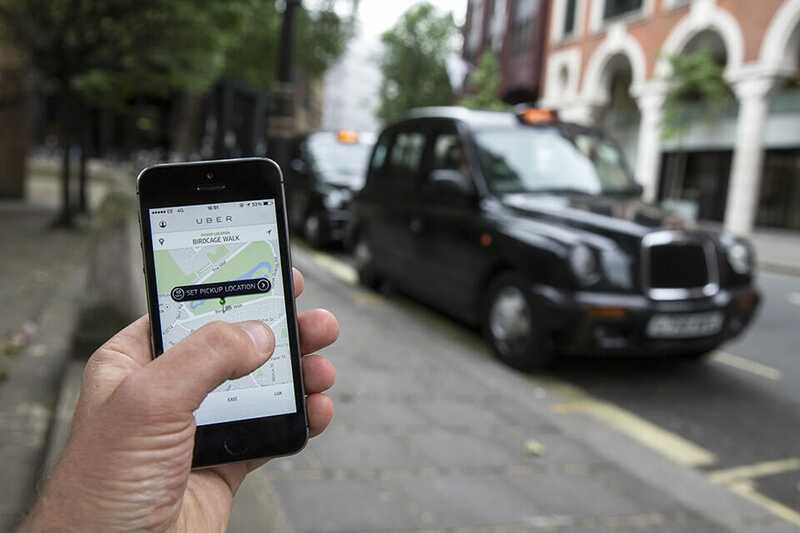 Sectors such as journalism, high street music retail and most recently taxis (with the disruption caused by Uber). Uber was able to disrupt the taxi sector by offering a superior experience through the use of digital. Buyers are increasingly becoming a younger generation. A generation who is used to using products that are easy to use and now they expect that from their B2B solutions. Desire word of mouth recommendation. Want a wider global audience. Are increasingly selling based on service and support. Recognise the value of a good customer experience. In short, B2B provides little protection from digital disruption. With digital disruption upon us the question then becomes; is our organisation prepared or does it need to undergo some form of business transformation? The question of whether or not your company needs to undergo digital transformation is dependent upon its digital maturity. The informal beginning is where only a few scattered individuals recognise the value of digital. Unfortunately, because they are mostly isolated from one another, they have little in the way of resources or authority to bring about change. Organisations in this position have little chance of surviving digital disruption and need to move quickly. Fortunately, the majority of companies I encounter have moved beyond those informal beginnings. They have established a more formal approach to digital. Unfortunately, this structure is often decentralised with digital specialist spread across the organisation. 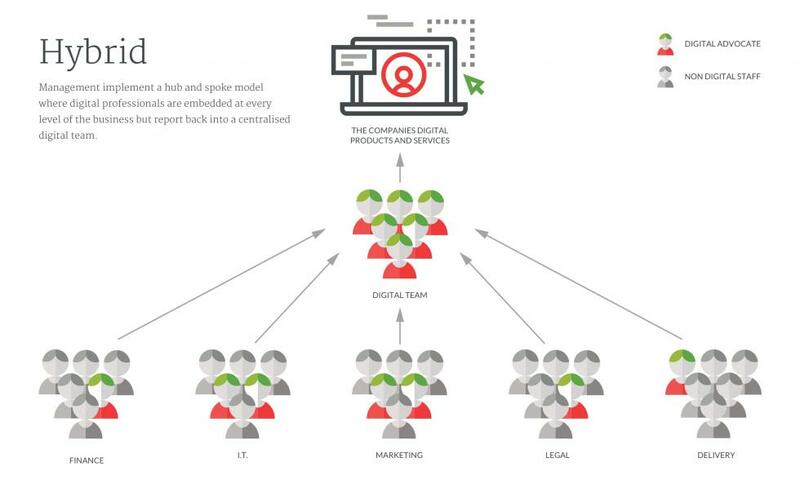 Decentralised teams are a good starting point but they do not allow long-term digital growth. There is often a replication of effort and communication barriers that prevent consistent standards. That is why organisations in this position inevitably end up introducing some form of the centralised team. In time, digital becomes critical to businesses so they then tend to centralise their operation. That enables the organisation to exert greater control over its use, and implementation of digital. It allows them to set standards and streamline operations, as well as establish a more coherent strategic direction. See also: The role of your digital team and 7 things to do when stuck in a dead end digital team. Although a significant step forward, it does nothing to help wider adoption of digital across the organisation. It doesn’t embed digital thinking into every aspect of the business. That is why ultimately most institutions will seek to move on to a hybrid model. The hybrid model is a hub and spoke model where digital professionals are embedded at every level of the business but report back into a centralised digital team. That ensures digital best practice becomes organisation wide. It also prevents the central digital team becoming a bottleneck and encourages continual innovation. Eventually, organisations often replace the hybrid model with a fully integrated approach. 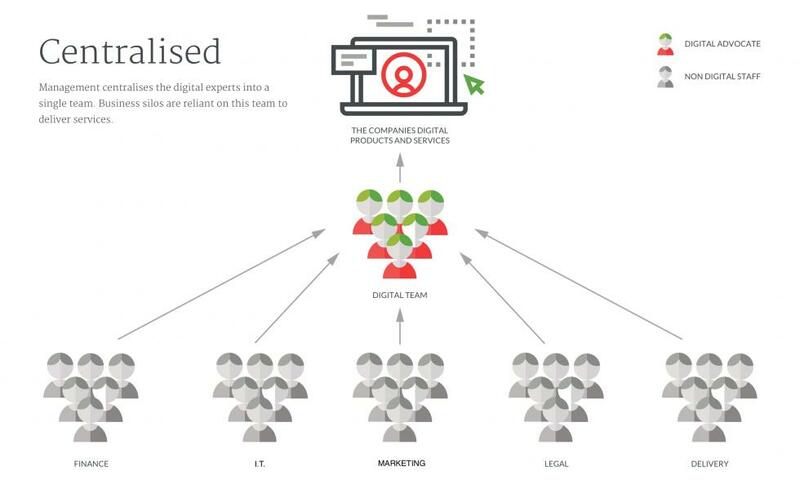 The digital experts in the business silos seek to educate colleagues about the use of digital tools. In time they relinquish responsibility, encouraging staff to integrate digital tools into their workflow. You will not find a ‘digital team’ in a company like Twitter because digital is fully integrated and as ubiquitous as electricity. That is the state in which many digital companies exist. 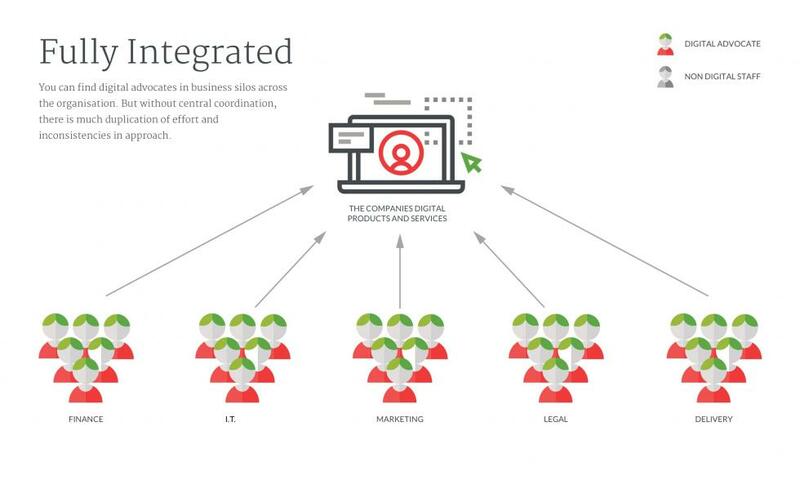 Digital isn’t a separate business function. Instead, people use digital as part of their workflows on a daily basis. It is as ubiquitous as electricity within a modern business. Of course, telling where your organisation is in this hierarchy of digital maturity can prove challenging. How well does your organisational structure support digital? 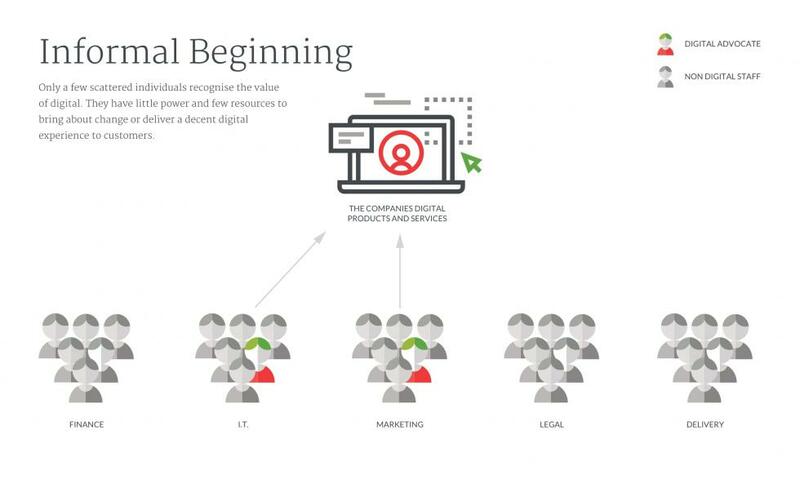 Does your company think digital first? Does your organisation have a digital framework? How do your colleagues see the digital team? Does digital receive adequate investment? Is there a culture of continual iteration? Is your organisation focused on customer experience? By answering these and other questions covered in the health check, you can start to make a case to management and colleagues that digital transformation is necessary to secure the organisation’s future. But more work will need to be done to win people over. The fact that you are reading this indicates but you already realise your organisation needs digital transformation. But the chances are you do not have the authority to start the process. However, you can still be a catalyst for change. I would encourage you to begin by seeking like-minded people. There is no way that you will be able to change your organisation single-handedly. You need other people to help make a case to management and build some organisational momentum. As a group, you should then paint a vision of what the future could be. How could digital help your organisation and what would an improved customer experience be? Finally, I would seek to create a prototype demonstrating that vision. It could be something as simple as a storyboard or complex as an interactive experience. See also: What are the business benefits of building prototypes? 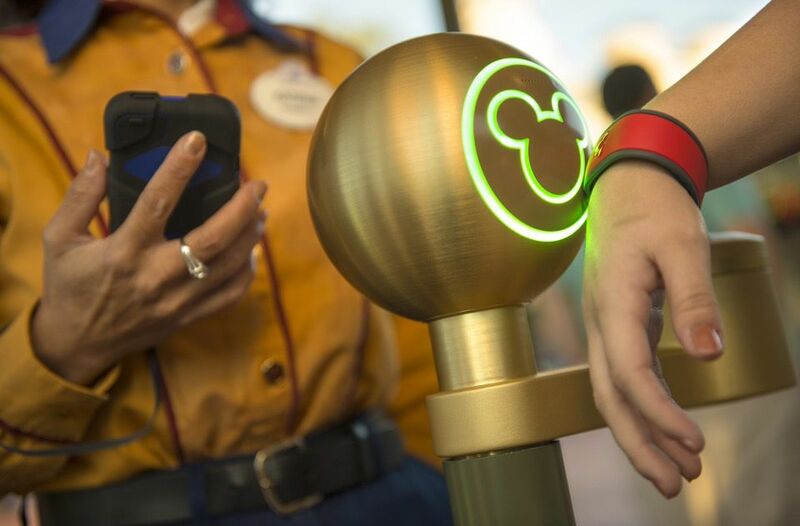 For example, a group in Disney wanted to introduce RDF bands to its parks that allowed customers to pay for things, unlock their hotel door and Disney staff to provide personalised service. Instead of writing a lengthy specification of their requirements, they converted a warehouse into a ‘cardboard park’. They mocked up relevant experiences across the park using a façade, some imagination and a few volunteers. They were able to test the experience with customers by guiding them through the prototype and mocking up the experience with nothing but smoke and mirrors. That enabled them to gather hard data on its potential and also created a compelling case to take to management. A team within Disney built a ‘prototype experience’ to demonstrate to management the benefits that would come from introducing RDF bands to their parks. In my experience, champions of digital transformation often approach senior management too early. Instead, they should only go to management once they have a clear vision of what they want to achieve and sufficient data to back up the need for change. A prototype will communicate a clear vision and has the potential to excite management. But most importantly, it will provide hard data on how customers will respond. When you do finally approach management, be careful not to overwhelm them. A grandiose vision of digital transformation might be inspirational, but the journey to get there can seem insurmountable, not to mention expensive! Instead, encourage management to approve a simple next step. Typically this would be some form of pilot project or simply doing some initial research. What exactly this next step is will depend upon where your organisation is regarding digital maturity. Carrying out an audit and competitive review. Prototyping, testing and iterating a pilot project. Educating and communicating with staff. Realigning how staff are assessed an incentivised. This journey is very much a marathon and not a sprint. It will not happen overnight or even in a couple of years. It is tempting to skip some of the steps to accelerate the process. But doing so creates operational and cultural problems that will ultimately halt transformation. Digital transformation is not some project. It is an ongoing initiative that adapts as digital changes our world. Another common mistake I see organisations make is to treat digital transformation like any other project. However realistically this is impractical. Not only are the timescales too long to maintain momentum, but traditional project planning is also inapplicable in the fast-moving and volatile digital landscape. Instead, a more agile and evolutionary approach is needed. A one which is lacking the usual trappings of a project, such as five-year plans and detailed strategy documents. This different approach can often feel unsettling at first, but be assured it is a path others have found successful. See also: So you want to write a digital strategy? Many organisations are in the midst of digital transformation and seen much success. 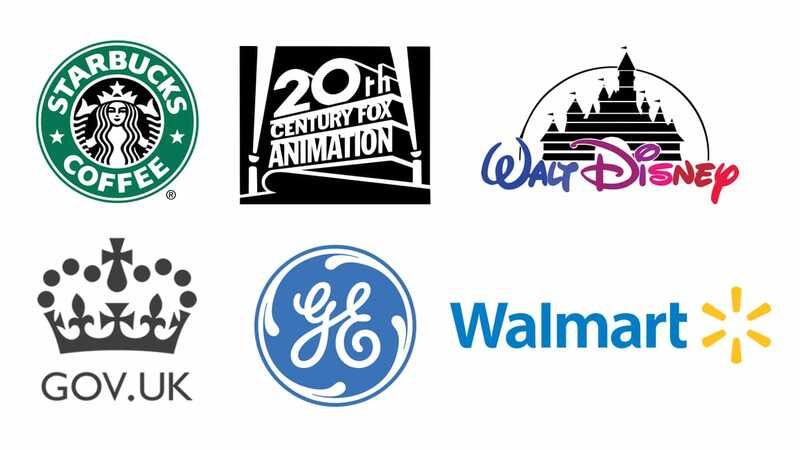 From big brands such as Starbucks and Walmart to enterprise B2B companies such as IBM and General Electric. We even see success stories in the public sector and the charity sector. But nobody has succeeded in digital transformation because it is an ongoing and long-term endeavour. Time is critical now. The first wave of organisations is already implementing digital transformation strategies. Don’t get left behind. Of course, there are a lot of companies who have failed to adapt. Famous examples include Blockbusters and Kodak, but there are many others. Companies replaced by more digitally savvy competitors. But as for the success stories, only time will tell. In truth, you cannot afford to wait until there is a tried and tested plan for digital transformation. By the time one emerges, it will be too late. Digital transformation takes too long to wait, and the world is changing too fast. Time is critical now. The first wave of organisations is already implementing digital transformation strategies. Don’t get left behind. If you need help, get in touch, and we can begin the process of adapting to the new digital reality together.